Companies that are directly or indirectly regulated by the U.S. Food and Drug Administration (FDA) – including those that manufacture food, food packaging, medical devices and drugs – are responsible for ensuring that their products are produced safely and consistently. The degree to which a company must meet these obligations depends on the intended or reasonably foreseeable use of the product. Ultimately, industry must ensure that its products are used in a manner that promotes consumer confidence, brand loyalty and, above all, protection of the public health. In the context of food-contact materials, however, the agency has implemented only a broad standard for ensuring that products are safe and suitable for their intended use. It is largely a company’s responsibility, therefore, to ensure that a high degree of safety and quality is continuously met. To meet these obligations, companies often rely on fundamental principles of industrial engineering, including facility design, process control, operations management and auditing. The Federal Food, Drug and Cosmetic Act defines a “food additive” as a substance that is reasonably expected to become a component of food under the intended conditions of use. Food additives are subject to an FDA premarket clearance. 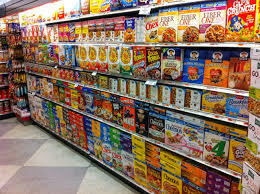 Therefore, substances used in the manufacture of food packaging that may become a component of food must be the subject of a food additive regulation, a food contact notification (FCN) or an applicable exemption. Substances that are not used in accordance with an applicable clearance or exemption result in food packaging that is adulterated (contains an added substance that may result in food that is injurious or otherwise unfit for consumption), per se, under the act. Although the agency has provided guidance to industry within the context of good manufacturing practice for certain specific applications – most notably regarding the recent implementation of the Food Safety Modernization Act for food ingredients – FDA largely has remained silent about specific requirements for food packaging. The agency’s decision to rely upon industry’s self-regulation of quality and safety (beyond the general adulteration standard) recognizes the careful balance industry maintains between employing appropriate quality control and safety procedures and efficiently manufacturing products. FDA expects that, independent of any economic considerations, industry will take the steps necessary to ensure that products meet a minimum standard of safety and quality. The general safety clause further requires that food-contact materials shall not give the food a physically discernable characteristic like an off-taste, odor or color. Good manufacturing practice is unique to each manufacturer and product. Several aspects of GMP are, however, well-recognized principles of industrial engineering: Facility design and layout, process control, engineering economics, supply chain logistics, operations management, data reporting and analysis and environmental health and safety. Each of these aspects spans the entire supply chain – from raw material acquisition through finished goods delivery to the customer. Between these first and final steps, GMP concepts influence every aspect of the production process, including inventory control, material movement, manufacturing and quality inspection. One advantage of the FDA’s good manufacturing practice concepts is that the agency lets the manufacturer determine the appropriate balance between efficiency and quality, recognizing that the manufacturer is in the best position to make this decision. Throughout the manufacturing process, many steps require strict adherence to specific measurements or tolerances. Complying with these requirements is often critical to ensuring that food packaging is manufactured consistently. Consistency, of course, is important both to the functionality of the product and the expectation of the consumer. Within these manufacturing practices, however, companies are often left to determine for themselves to which degree of specificity a tolerance must be met. These tolerances relate not only to physical dimensions and specifications but also to the complex mixtures of chemicals and substances that are blended and reacted to produce a finished resin. Adhering to stricter specifications (beyond the minimum necessary to achieve the safe and effective production of the finished food-contact material) may come at additional relative cost, and the incremental benefit in quality and consistency may decrease. Physical tolerances can play a pivotal role in ensuring that food packaging performs as expected. For example, bottle manufacturers often work with third-party suppliers of gaskets and closures that make sure the bottle and closure combine properly to form a seal. This seal, in turn, prevents leaks or spoilage of the food. Compliance with specific measurements and specifications are essential to make sure that the two products function properly when used as intended. Of course, the degree of accuracy needed to achieve a complete seal depends on various factors, including the materials used to produce the bottle and the seal, the temperature the finished product will be subjected to (extreme heat and cold may expand or contract the materials) and how long the materials will be in contact with food (certain food contact materials may interact differently with specific food types over time). Ultimately, whether a product must meet a designated specification within a specific degree of tolerance must be evaluated on a case-by-case basis by considering the intended use of the product and the potential health or safety consequence of failing to achieve an appropriate degree of precision. The economics associated with achieving greater specificity, while relevant from a business standpoint, are secondary with respect to GMP. Good manufacturing practice requires that the physical specifications shall be sufficient to achieve the intended technical effect, ultimately ensuring the safety of the finished packaging material and food. Similarly, compliance with chemical specifications directly affects the nature and quality of the finished food-contact material. For example, adding insufficient amounts of a catalyst, additive or processing aid may result in a material that fails to meet certain physical requirements (the bottle may appear hazy, may feel tacky or may not be rigid enough). Conversely, adding too much of a substance may result in a product that imparts an off-taste or odor to food, resulting in adulteration of the food, per se, under the act. Here again, the FDA’s requirements with respect to good manufacturing practice do not specify the degree to which a company must meet chemical tolerance requirements, recognizing that such determinations must be made on a case-by-case basis. Rather, the FDA’s GMP requirements specify that the company take sufficient steps to ensure that the finished material or article is suitably pure for the intended use. The FDA’s good manufacturing practice requirements obligate companies to demonstrate that the production process is sufficiently designed, implemented and effectively managed to ensure that the finished material is safe and suitable when used as intended. Decisions about design, planning, production and inspection must ensure that a material is produced consistently, safely and in accordance with the FDA’s requirements. Therefore, a robust production process should incorporate written operating procedures and auditing strategies as part of an overall good manufacturing practice and quality plan. Written operating procedures, often referred to as standard operating procedures (SOPs), serve as a foundation for the production process and preserve and convey consistent instructions to staff and management. Ideally, SOPs should be developed before production starts and should be revised and updated based on production experience and the advancement of technology. Although every process is different, FDA’s good manufacturing practice requirements implicitly require that manufacturers of similar products should meet a minimum, common standard of quality. The result of one company’s adverse safety event (or development of a process designed to prevent such an event) may provide an opportunity to improve the safety of the entire industry. In this regard, trade associations that facilitate information exchange add value. Similarly, auditing strategies can serve as a safeguard to ensure that a product is manufactured safely and efficiently. Audits provide oversight to a manufacturing process and give valuable feedback to the business, as well as assurance to customers. The frequency and type of audit, whether internal (conducted by one’s own employees) or external (conducted by a third party), will vary based on the nature of the product, the risk posed from the intended or reasonably foreseeable use and the nature and degree of regulatory oversight. Internal auditing lets a business review and revise SOPs continuously based on the nature and characteristics of the finished product. Internal auditors also bring an inherent knowledge of the product to the review, allowing for a highly detailed analysis of a specific process or procedure. Companies that are regulated by the FDA should consider best practices that do two essential things: Ensure compliance during normal production activities and help the company respond to adverse events. The latter is often mitigated by the designation of specific individuals who have the authority to make “command decisions” regarding production, inspection, quality, health and safety. Companies that most effectively respond to unforeseen events implement strategies such as a tiered response system, an internal and external communications policy and the designation of a “go team” of legal, technical and executive participants that can react quickly to FDA-related incidents and investigations.